The representation of Iranian history, culture, and political struggle are not the sole purview of academics and governmental officials. 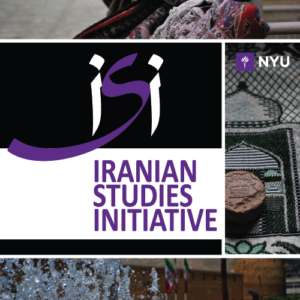 Currently there are several initiatives that have consciously and reflexively explored the multiple and competing ways that Iran and Iranian identity has and can be imagined and presented to new audiences and via new media and platforms. This panel will explore two significant examples of such endeavors – the Ajam Media Collective and Bidoun Projects. Through presentations by and discussion with members of their editorial teams, we discuss the intellectual, political, and economic struggles involved in exploring such issues of challenging nationalist historiography, building bridges between diverse audiences, and re-imagining Iran’s place in regional and global circuits.